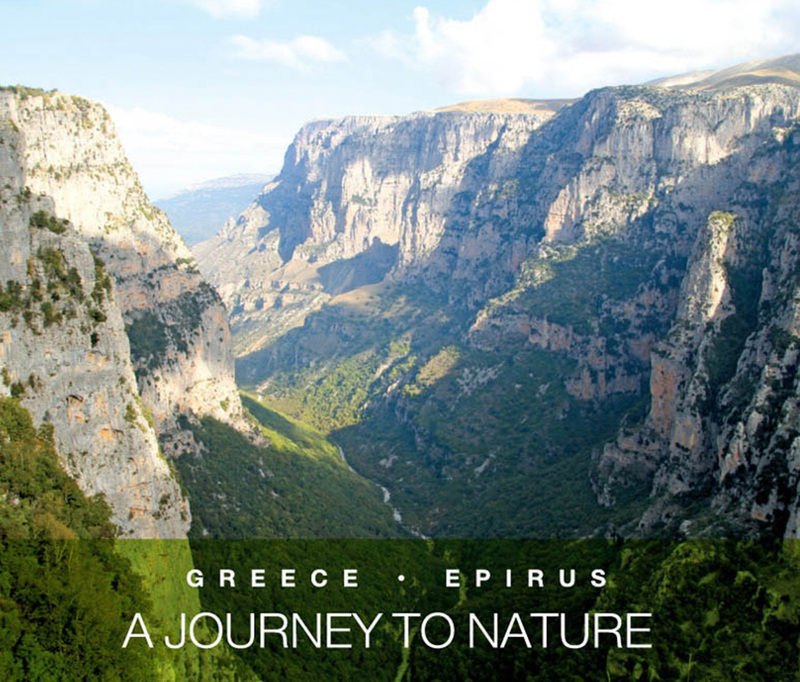 The history of Epirus is particularly interesting. Evidence of the first habitation by Homo Sapiens during the Paleolithic Age (100,000-10,000 BCE) has been found in Kastritsa in Ioannina Prefecture, and the Asprochaliko Cave in Preveza. They were hunter-gatherers and herders who built large tombs to bury their leaders, similar to those of the Mycenaeans. This is evidence of a link between the Epirotes of the Paleolithic and Neolithic Ages and the Mycenaeans of the Bronze Age. Around 1100-1000BCE, the three main tribes of Epirus first made their appearance, the Chaonians in the northwest, the Molossians in the center, and the Thesprotians in the south. 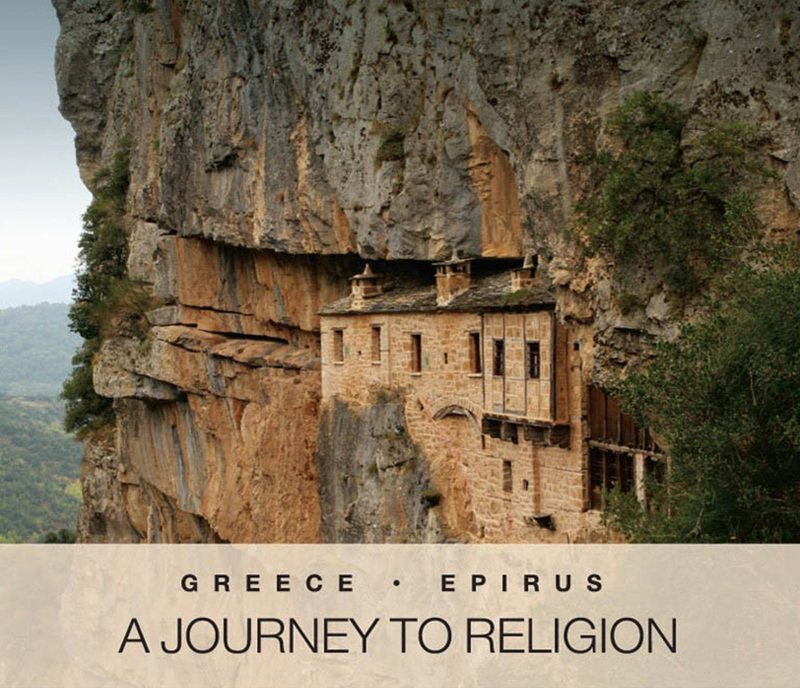 In contrast to the rest of the Greek tribes, those of Epirus lived in small villages. Their region had a particular religious value because of the Manteio, the Oracle of Dodona. The participation of the Molossians in the war between the Macedonians and the Romans was catastrophic for Epirus. The region was pillaged and looted repeatedly and it took 500 years for it to recover. The Roman conquest meant the loss of its independence as it became a province of Rome. With the split of the Roman Empire in 395 AD, it became a part of the Eastern Empire (Byzantine). When Constantinople fell to the Crusaders in 1204, Michael I Komnenus Doukas took over Epirus and established the Despotate of Epirus, making Arta the capital. Despite constantly changing administrations and occupiers over the centuries, the cities and towns were able to retain a Greek population. The Ottoman Period was particularly onerous for Epirus as the cultivated areas were handed over to Moslems and many Epirotes were forced out of the region to seek a better life elsewhere. There were however a few scattered areas along the coast which remained under Venetian control until the end of the 15th century, when the Ottoman conquest was finally completed. As of the 17th century many merchants – benefactors – in Ioannina, Metsovo, Zagori, and other areas, contributed to a cultural and spiritual revival in the region by founding schools and libraries. As the Ottoman Empire gradually went into decline in the 18th century, two founding members of the Society of Friends prepared the groundwork for the Revolution in which the Epirotes participated actively. After the Revolution was over (1830), Epirus was not included in the fledgling Greek nation, although the Epirote benefactors’ participation in the consolidation of the new nation was particularly apparent. The Treaty of Berlin in 1881 gave the region around Arta to Greece. 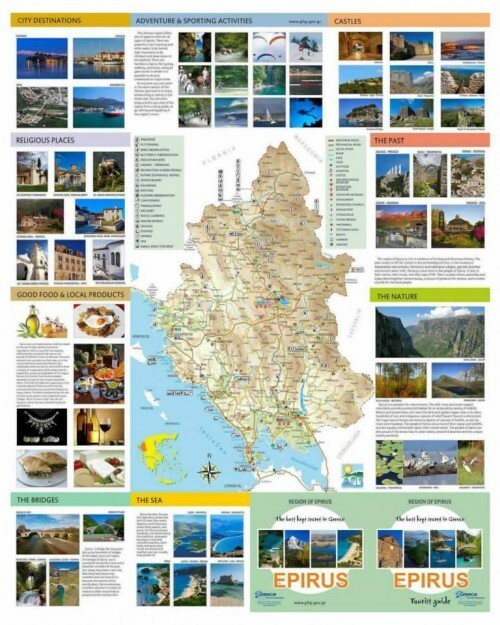 The rest of Epirus was added to Greece after the Balkan Wars. After the First World War, Northern Epirus was added to Albania. During the Second World War, Epirus was first occupied by the Italians but after the capitulation of Italy to the Allies in 1943, it was taken over by the Germans. After the war, Epirus was one of the most economically neglected regions of the country and many Epirotes left to find a better life abroad. The history of Epirus left behind many significant finds, historical and religious monuments of immense archaeological and historical value. 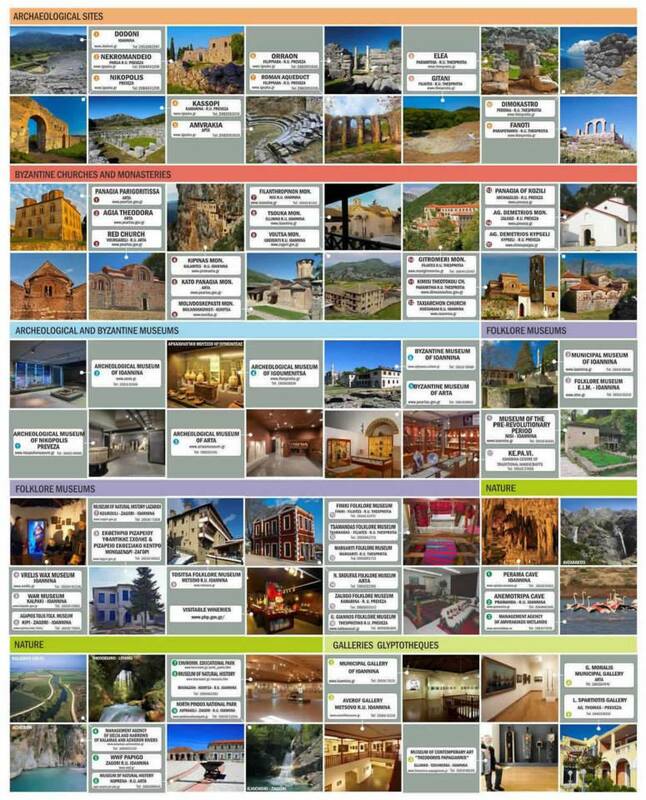 Beginning with the first settlements, in antiquity with the ancient theater at Dodona and the Oracle, Ancient Nicopolis and the Nekromanteio, Ancient Gitanae, the settlements of the Molossians on up to the Byzantine Period with the castles of Ioannina and Arta, the churches and monasteries, traditional houses, stone bridges – historic sites where significant historical events occurred – these are all places that are now monuments of vast historical and cultural interest. 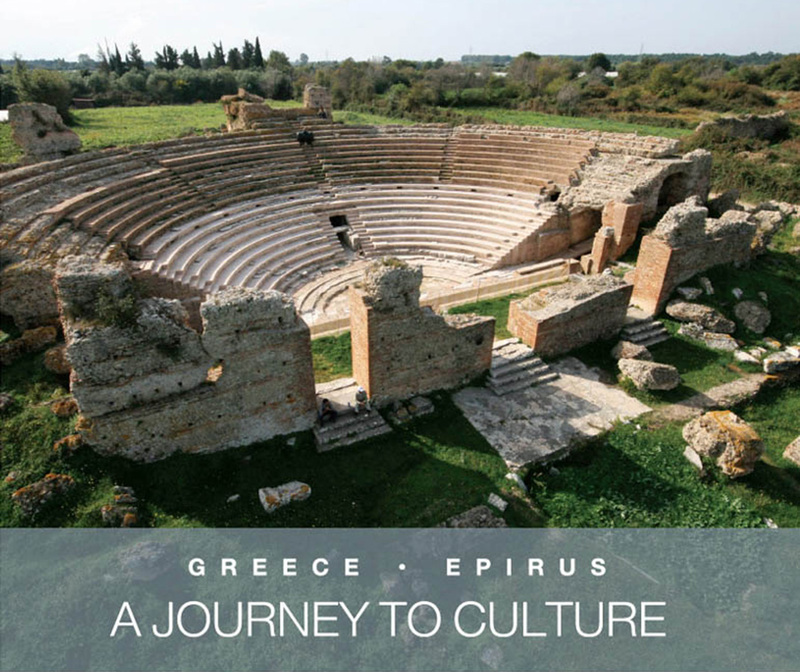 And in addition to its history, Epirus is famous, too, for its Literature, eulogizing its beauty and its history, as well as the benefactors who contributed in any way they could to furthering the culture, not only of Epirus, but of all of Greece as well, enhancing the region and its traditions.